George wanted to do his part for the war, so he joined up for the Royal Scots in 1943. After being in only a couple of months he heard you could get extra pay being a paratrooper, so he applied. After weeks of grueling training he passed selection. 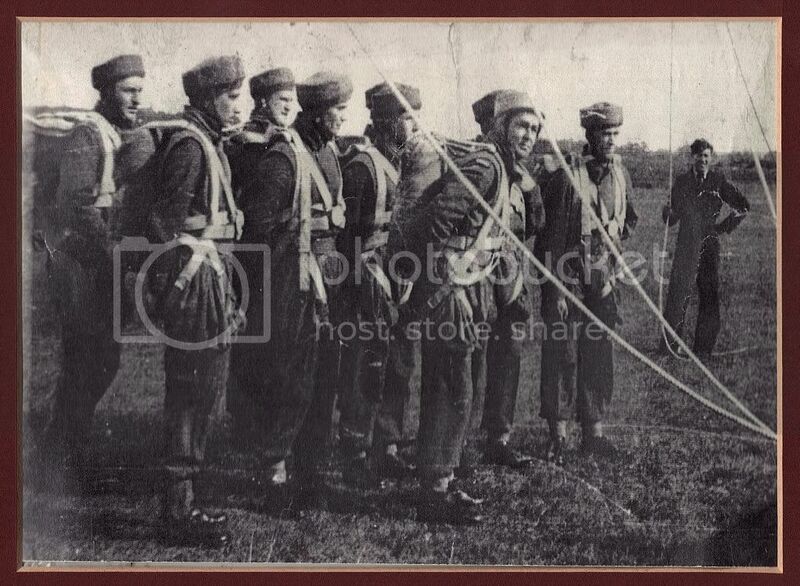 Then he passed the paratrooper training. 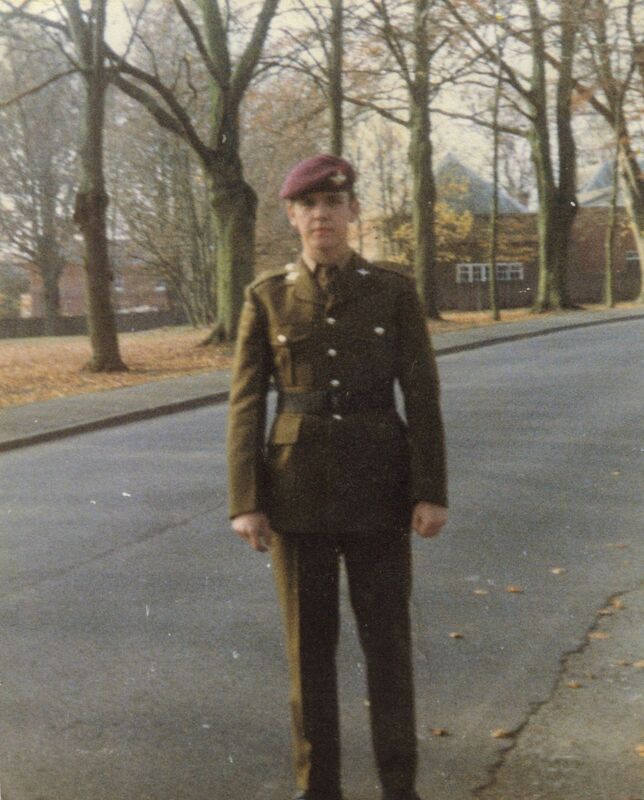 He finally earned his wings in the Parachute Regiment. 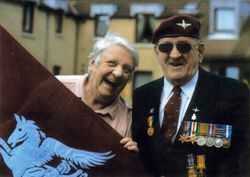 He joined the 6th Airborne Division and was placed with the 9th Parachute Battalion. George remained with the 9th Parachute Battalion throughout the war participating in D-Day, Battle of the Bulge, the Rhine Crossing and the Push into Northern Germany. 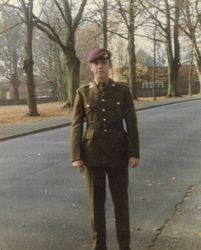 After the War George decided to remain a Para and served in Palestine and Cypress. Back in the UK he met a pretty R.A.F lass who was a parachute packer. They married in 1949. They have seven children, two girls and five boys. The oldest boy joined the Duke of Wellingtons Regiment. The rest of the boys became Para’s. The girls followed Mum and joined the R.A.F. What a family! George also got to work on a film called the Red Beret (Paratroopers), starring Alan Ladd. He did several jump scenes. He can also be seen in the aircraft scenes “jumping through the hole”. George now resides in his native Scotland with his lovely wife. We honor him for his service to his country, and salute him for his bravery. George's lads, Jim, Alex and Andy in the Para's. She must have been one heck of a parachute packer because he married her. A picture taken from the Movie "The Red Beret" made in 1953. 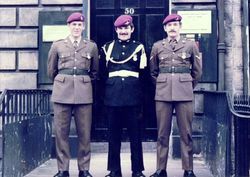 George is the paratrooper on the far right. Also pictured is Alan Ladd, Stanley Baker and Anton Difring.